RICHLAND, Wash. – Northwest agriculture researchers say they are finding more cases of a zebra chip disease in the region’s potatoes. 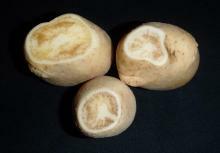 The malady mars spuds with dark streaks, making them unsuitable for sale. The latest case cropped up near Hermiston, Oregon. First discovered in the Northwest last year, zebra chip is a grower’s worst nightmare. Silvia Rondon with Oregon State University say the insects that carry the disease are the size of aphids. She says they multiply more in the summer. CONNELL, Wash. – Drought that’s sizzling the rest of the nation has largely left the Northwest states alone. Furthermore, the Midwest’s farmers’ misfortune is actually benefiting farmers here. That’s because grain prices are raising because of the Heartland’s decimated yields. Wheat stubble, grain elevators and whole lot of wide open -– that’s Connell, Washington. There, I caught up with Dana Herron and his partner Craig Teel. The men run a grain seed operation. 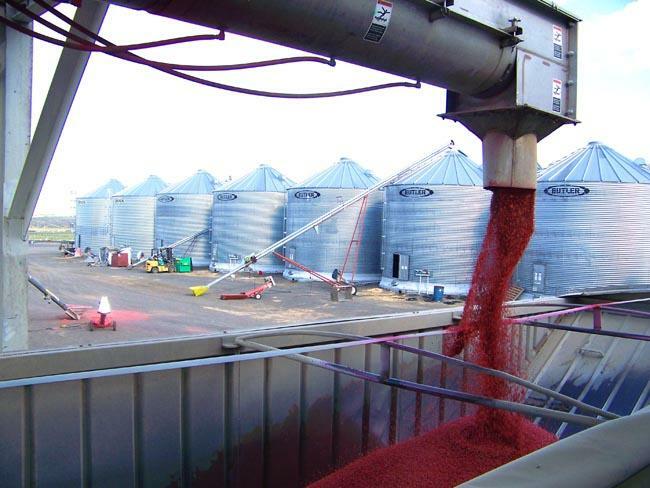 They sort, clean, treat and store pure grain for farmers’ future plantings. RICHLAND, Wash. – The Northwest cherry harvest is set to begin next week, but farmers are a bit glum. That’s because the National Weather Service says this month’s temperatures will be near or below average across Washington, Oregon and Idaho. 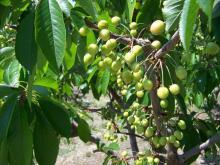 Cool weather and rain can delay ripening and compress the cherry growing season. That means that markets have less time to sell the perishable fruit. Plus, farmers may have a harder time recruiting enough labor in a shortened season.